Hello! Today I'm here with another tag! 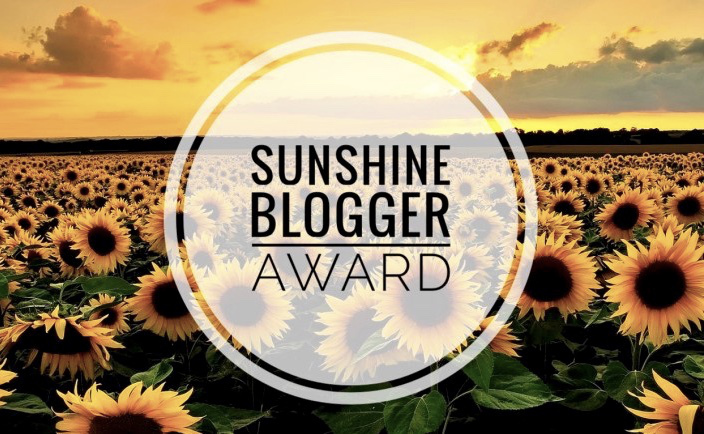 The Sunshine Blogger Award. Thank you Annie, for tagging me!!! Answer the questions the blogger who nominated you provided (11 maximum). Nominate new bloggers and make up 11 questions for them to answer. 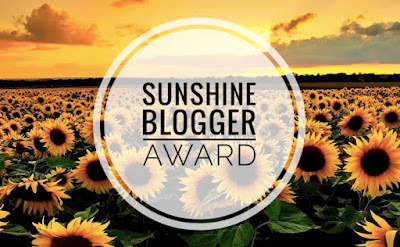 List the rules and have the Sunshine Blogger logo present in your post. 1)Who do you admire in your life that you would call a “sunshine for Christ?” My pen-pal, Ruby. 2) If you could travel anywhere, where would you go? Either to visit friends a few hours south, or to Missouri! 3) What is the best book you have read so far this year? I don't read very much, but I'm enjoying Pearl Maiden, and The King's Fifth was pretty good. 4) Why do you think it is important to study God’s Word? I think it's important because you have to know what you believe. 5) Why do you think it is important to memorize God’s Word? Well, it can convict us when we are tempted to do something wrong, it can comfort us, and if Bibles ever become illegal we will have (at least some of) it by memory! 6) What is one blog that you find really encouraging? Truly Beautiful. 7) If you could choose another name for yourself, what would you choose, and why? I like Miriam, and Felicity. And I'd really like to have the middle name Elizabeth, like Laura Elizabeth Ingalls. 8) What is one way you can serve God today? Be thankful! 9) What is your favorite snack food? Cookie dough! 10) What is one fun fact about yourself? I used to want to live in Ohio when I grew up. I'm not really sure why! 11) What are your favorite song artists/songs? My two favorite songs are "Be Thou My Vision" and "In Christ Alone". Lately I've be really enjoying Galkin Evangelistic Ministries, but I also like GRACE FUL and the Wissmann family. Don't You Know That I'm Singing? Sorry, I know it's not quite 11! How can you serve Jesus at home? If you are writing a book, tell us about it? Where are you in your sibling line up (if you have siblings)? If you could live in any time period, which would you choose? If you could go and visit anywhere, where would you go? Post a picture of your bedroom! Thank you for tagging me Annie!!!! It was lots of fun!! Hey, thanks Laura for tagging me!! Thanks for tagging me!!! I might take awhile to get around to it, but I love getting tagged!!!! <3 I'm so glad you're enjoying Pearl Maiden (finally, I'm not the only person who has read it!!!). Okay, that's fine!! (I take a long time to do tags sometimes!!) I really am enjoying it!! Thanks for tagging me! I will try and get around to doing it!